Whether you are planning a simple breakfast, an quick lunch buffet, or elaborate upscale corporate dinner we can help! We service all of Philadelphia and Bucks County and can easily custom any menu for your needs. Our team is great at custom designing menus for all types of events. Browse our main website for more details. 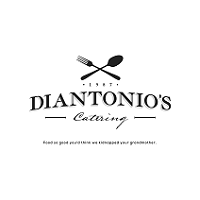 The DiAntonio's catering online system has been created to make ordering your food and beverage requirements as easy as possible. We want to ensure that we are providing you with the very best options for you to select from, so please let us know if there is something you do not see in our order guide. Our caterers will be happy to assist you at any time with placing your food and beverage orders. Simply call the Philadelphia office and an event planner will walk you through the online process. 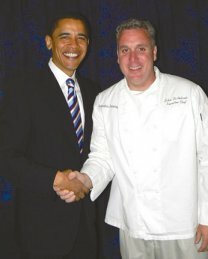 DiAntonio's Catering in Philadelphia serving President Obama. Contact a Philadelphia Caterer Today! Vote for us on Philly Hot List!